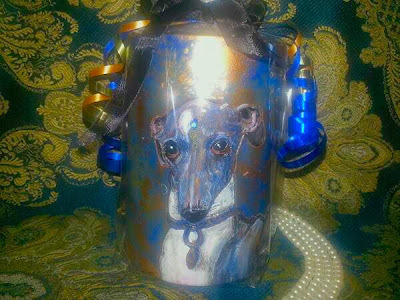 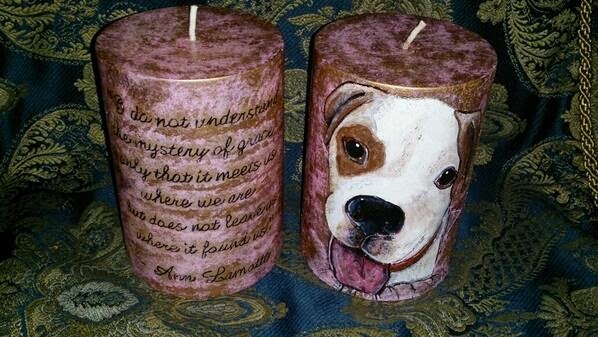 These lovely candles are handmade by @VincentRocket 's mom. 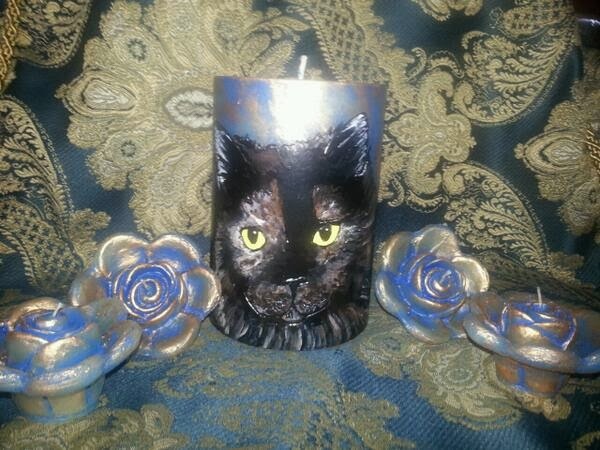 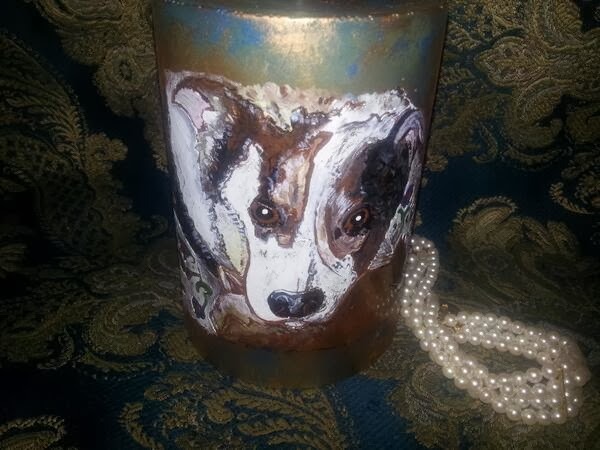 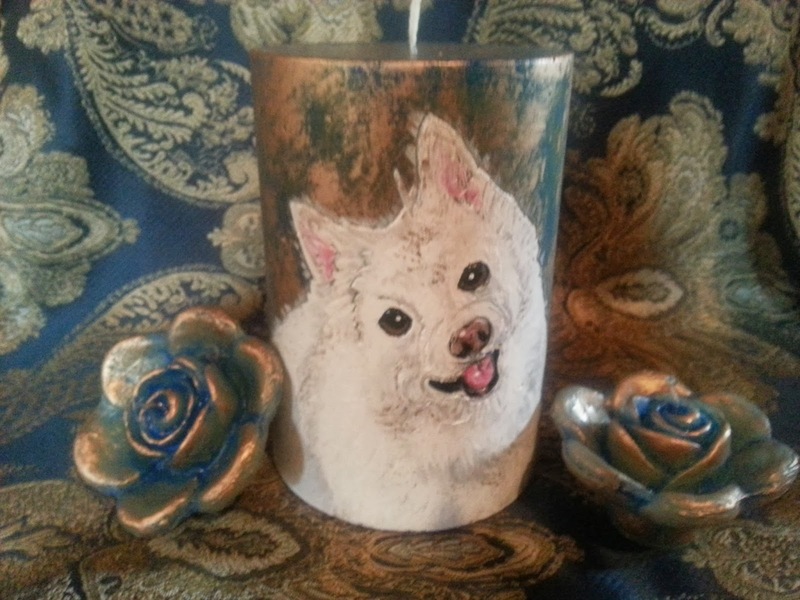 The candles are handmade and the image is painted from a photograph. This is such a lovely gesture for pals who have gone OTRB. 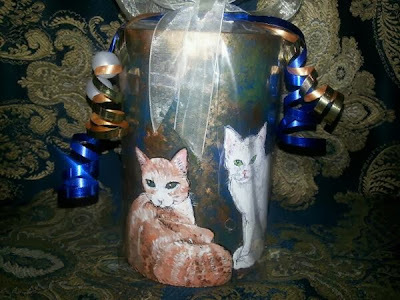 to someone you know who has lost a dear pet. 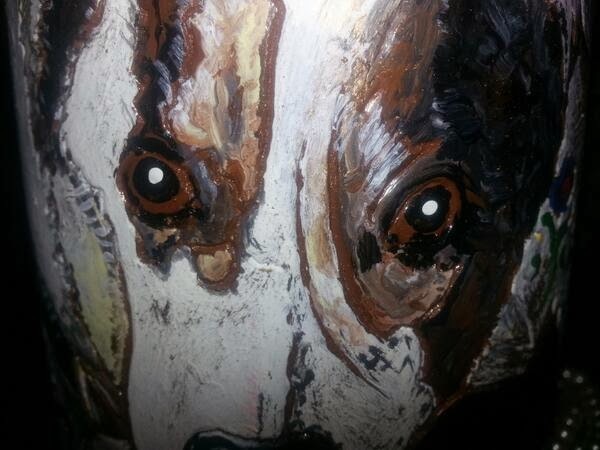 This is Slipper, a dear pal of Vincent's. 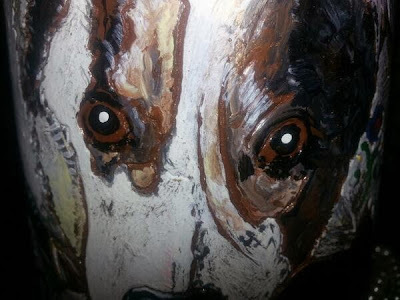 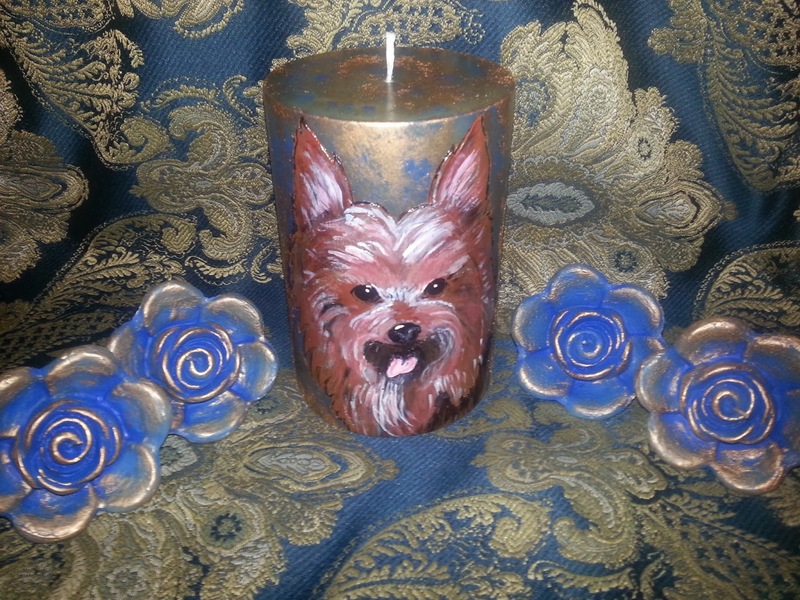 These candles can be made for any occasion, not just OTRB.